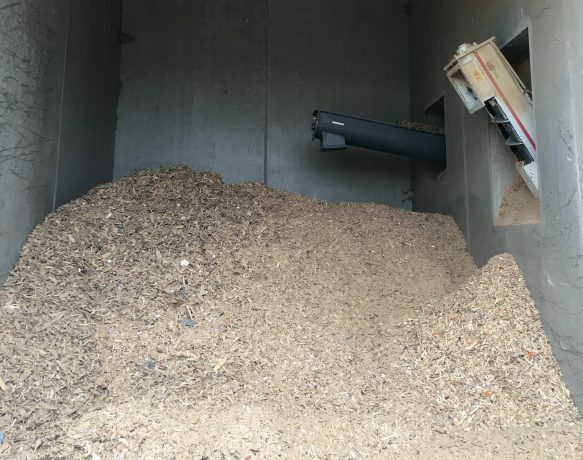 At our demonstration site in Olen, Belgium, Beneens in cooperation with VITO has installed a new wood fired boiler (1.6 MW) with a planned heat delivery of 145°C. 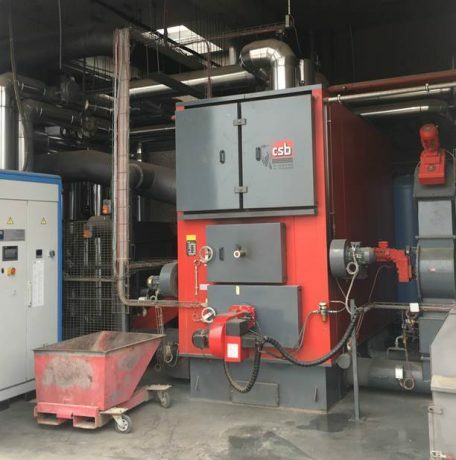 This boiler uses waste wood from the company and from other companies in the neighborhood and is connected to an ORC (Organic Rankine Cycle) to produce electricity and to an heat exchanger to a thermal network operated at 80°C. The ORC aims to produce electricity at about 90 kWe. The heat in the circuit of 80°C is used for the high temperature heat demand of Beneens. The waste heat from the ORC is delivered to a low temperature heating network (45°C) for office heating and low-temperature process heating. In order to increase flexibility of the system, thermal energy storage based on hot water storage tanks (50 m³ and 20 m³) as well as batteries were added. The innovative aspects of the Beneens demo in the Story project are efficiency enhancement and active control of the ORC through the use of thermal storage, the state of charge estimation of thermal energy storage with limited sensors and peak shaving with thermal energy storage in the low and high temperature heat circuit. So far the boiler reached temperatures of 130°C and the ORC delivered 70 kWe. Starting-up and optimisation of a complex system with components supplied by different companies has proven to be a challenge and is still ongoing.